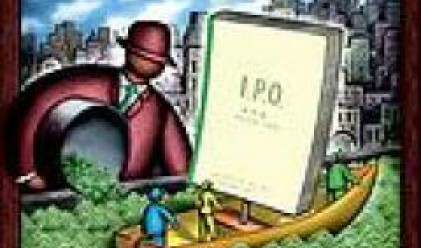 A total of 11 companies raised a 351.42 mln leva (179.6 mln euros) from initial public offering of shares (IPO) оn the Bulgarian Stock Exchange (BSE) in 2007. These include: Kaolin, Corporate Commercial Bank (KTB), First Investment Bank, Specialized Business Systems (SBS), Bianor, Devin, Trace Group Hold, CBA Asset management, Enemona, Agria Group Holding and Billboard, data of the Financial Supervision Commission (FSC) show. FIBank held the biggest IPO last year in terms of shares offered. The bank floated a total of 10 mln new shares, raising 107 mln leva (54.7 mln euros). Kaolin also held a large scale share sale last year. The company increased successfully its capital to 5 mln leva issuing as many new shares. Kaolin raised a total of 67.5 mln leva (34.51 mln euros) in the IPO. Two companies offered to investors over 3 mln shares each. CBA Asset Management sold a total of 3.9 mln new shares at an issue price of 3.7 leva apiece. The proceeds of the company from the IPO amounted to 14.43 mln leva (7.37 mln euros). Devin offered a total of 3 mln new shares for subscription. The shares were sold at a price of 6.1 leva apiece, while the company raised a total of 18.3 mln leva (9.35 mln euros).